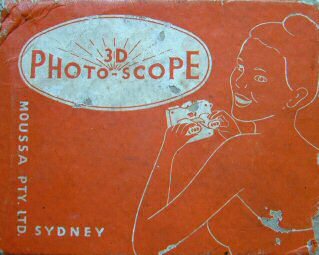 This Photo-Scope stereo viewer was manufactured in Sydney, Australia by Moussa Pty. 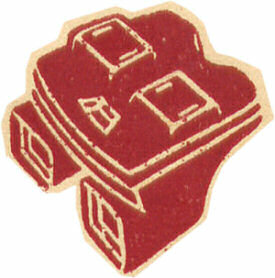 Ltd. in 1947. The body was made from bakelite and closely resembles the Sawyers Model C. This model was available in two colours, black and a light sage green. Reels were produced in both cardboard and aluminium for the Photo-Scope. 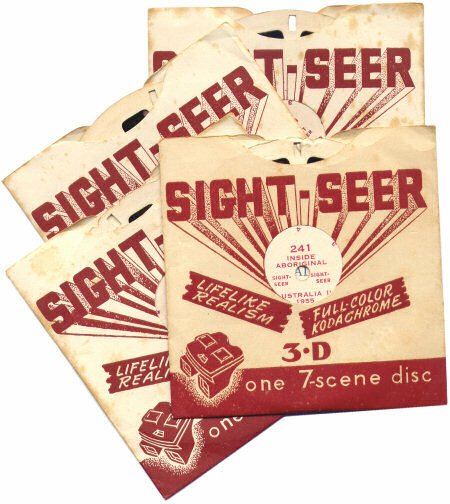 The Australian Sight-Seer reels pictured above were produced for an alternate type of viewer, as pictured on the left. 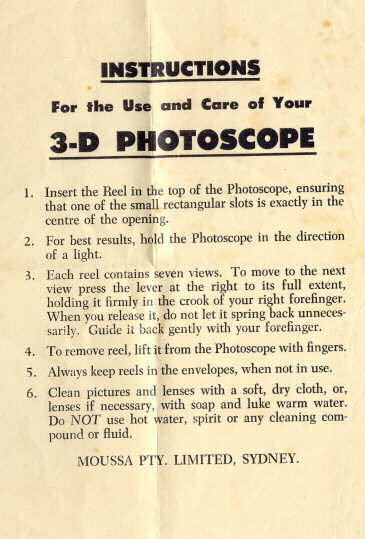 It is not know for sure if this viewer was also manufactured by Photo-Scope or by the maker of the reels, Sight-Seer, as very little information is available regarding Australian View-Master clones manufactured in the 1950's. If the reels are viewed in the Photo-Scope, or any View-Master viewer the scenes appear upside-down. One must assume that regular View-Master reels would also view upside-down if used the model on the left?